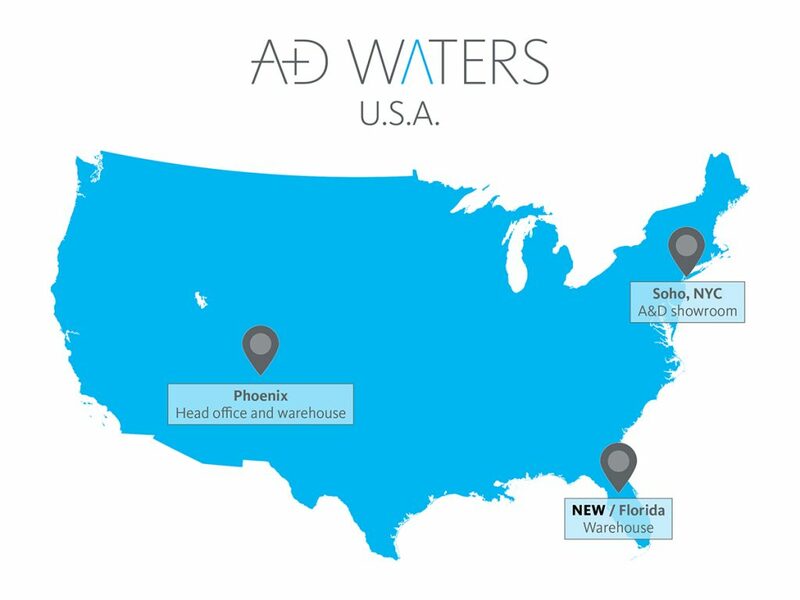 In a continued effort to increase customer satisfaction, AD Waters is pleased to announce the opening of its second US warehouse in Florida. The new warehouse will exclusively serve clients on the East Coast as well as the growing Florida market and is scheduled to begin operating this April. “Representing an important investment in the future of AD Waters USA, the opening of our Florida warehouse reaffirms our dedication to logistic optimization and commitment to providing efficient order processing for our clients”, says Lloyd Leblanc, Vice-President of AD Waters USA. Notably, AD Waters’ primary Distribution Center, located in Phoenix, AZ, will continue to manage all orders, customer service and technical support for the United States. Orders will continue to be processed in Phoenix, and East Coast orders will ship out of the Florida warehouse. This new platform will allow AD Waters to reduce transit lead times for all East Coast clients. With the addition of the second warehouse, AD Waters will reinforce its position as a leading distribution partner for the additional brands that will be joining the AD Waters product portfolio in the upcoming months. © 2017 AD Waters – all rights reserved.